I'm a piece of broken heart that requires care and love. Oh GOD help me not to loose anymore people in my life. I need some peace to my life. Give me strength and good luck to sail a safer boat of my life with care and caution. Give me the ability not to hurt anybody by any means. Please forgive my sins and give me some peace of mind. Please accept my namaskaram. Baba..bless our dear Sri and take care of him. Thanks Sangeetha ... I'm a gal , I have been restless with the facts that are hunting me ... I lost my mom recently and my marriage was broken with the guy I thought of getting married. 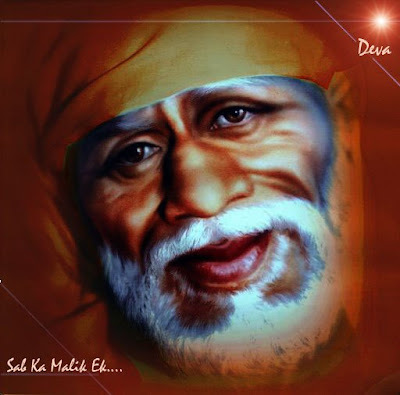 I seriously need help of sai baba to attain some peace to my life. Thank you once again for the post. 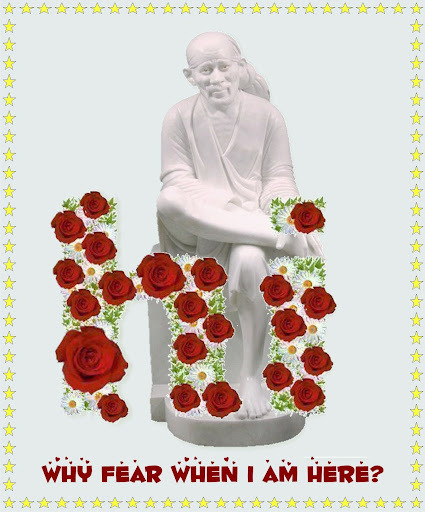 Welcome to our Sai online mandir SaiRam Sri. Baba bless you and comfort you. Surrender fully to our Baba .He will take care. Welcome to the awesome Online Mandir of our Dearest Baba Sai conceived by our Ravi Bhai.You can be rest assured that you have come to the right place.This Mandir will give you peace of mind , hope , love , assurance and put you in the right track in life and I can vouch for it, because I have been through a similar situation recently .To just give you some hope I share a few things which happened in my life. On September 20th 2005,Just 9 days after our marriage day( September 11, 1983 was our Wedding day) , I lost my beloved wife Gayatri in an accident and ironically I was driving the motor cycle.Gayatri used to always say that she felt very safe sitting behind me on the motor cycle. (We were happily married for 22 years and she had been travelling safely with me with a secure feeling without even a scratch). Subsequently her father side and mother side Grandmothers passed away. Ther has been other deaths also in our family which I have not mentioned here.I did not know how I landed into this forum then,but now strongly believe that God has guided me here to give a new dimension to my life.I have been going through very tough and painful experiences in this three months,but they do not affect me anymore,because I strongly believe that Baba is with me always in my heart and nobody can hurt me.If you believe that Baba is in your heart , you also will not hurt anybody by your words or action. Dear Sister, Everything is transient in this world and has to pass.Your sorrow also will pass and very soon your life will bloom again with happiness. Instaed of asking Baba why,if we start asking him how to overcome and pray him to give the strength to overcome,life will definitely be better. Your marriage was broken,because Baba thought, that guy was not the right person to share your life with.So do not despair.There is still lot of life ahead and Baba will always be with you in every step of your life. It might take some time ,but wounds will definitely heal and a new dimension in life will evolve. Sri dear welcome to BABA SAI's Blessed Online Mandir. I am really sorry to know the tragedies in your life. I can only say that whosoever has come one day has to go. Please accept my heartfelt sympathies. MAY BABA BLESS YOU AND GIVE YOU STRENGTH TO BEAR ALL THE LOSSES AT THIS PRIME AGE. OMSAIRAM!SRI SIS,WELCOME TO OUR SAI MANDIR OF DEAR RAVI BHAI. Only BABA knows his leelas. May Sai Baba bless you and give you peace and calm in your life. We all pray to Baba to give you the strenght, and guidance in each and every endevour you do in your life. Baba will always be there with you, I am pretty sure of that. Page created in 0.417 seconds with 70 queries.